Fire Pumps are designed to work in conjunction with sprinkler and/or hydrant/hose reel system installations. 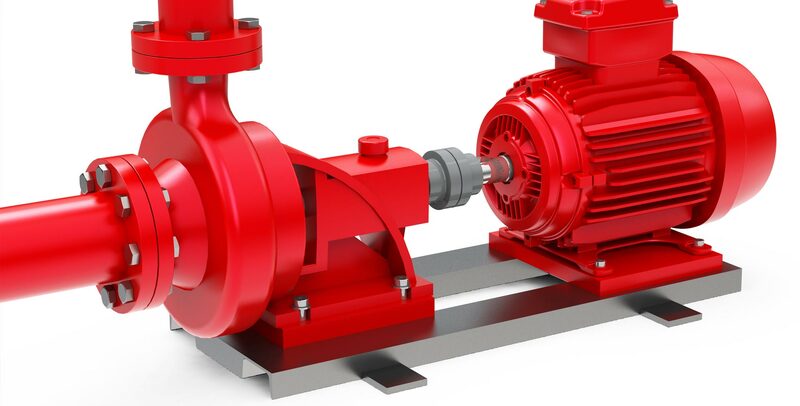 The pump supplies controlled pressurised water through sprinkler and hydrant/hose reel pipework to distribute the water throughout the entire system. A pump set starts when there is a significant reduction in pressure by a release of water from either one or more sprinkler heads or when a hydrant landing valve or hose reel is open. Fire Pump sets are usually connected to the town’s main water supply or can be supplied by a static water source (e.g. tank, reservoir or even a lake or swimming pool) and are either operated by a diesel or electric engine. This test is usually discussed at the time it is due and separately quoted accordingly. If your building is due for this test, please contact us to arrange a site meeting to discuss. 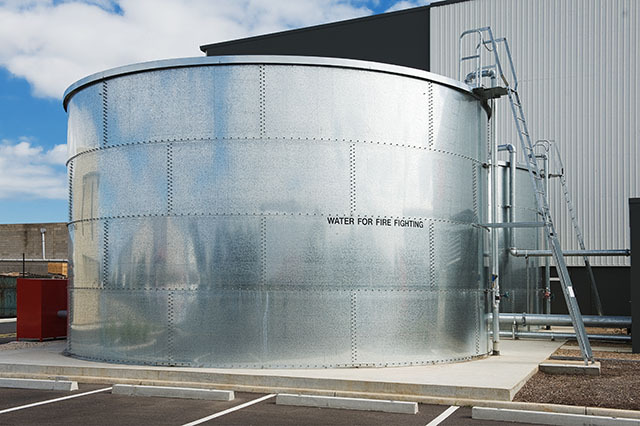 Water storage tanks can be easily identified when installed outside as shown in the picture above, however, some water storage tanks that feed your fire system may not be so recognisable, therefore, possibly non-compliant. Your water tank may look like another part of your building. In most high rise buildings, these can be located in the basement or sometimes on the top level and appear to look like a concrete or block wall. A water storage tank must show the water level by way of an indicator and must have an access panel for visual inspections to be conducted. A tank as such should also be identified on your hydraulic system block plan including the capacity. The frequency of routine servicing of Sprinkler systems are set out in AS 1851-2012.